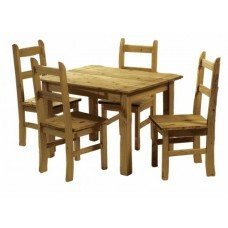 The Ecuador dining set comes in an antique wax finished Mexican Pine dining set. It comes with 4 cha.. 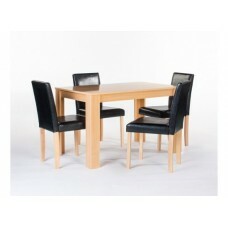 The attractive oak finish table complete with 4 sturdy black faux leather chairs. 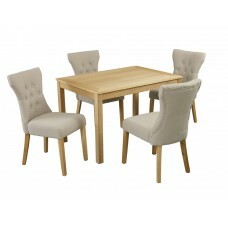 Chairs are constru..
Real Ash Veneer with Oak Stain furniture that looks fantastic for the price with linen style fabric ..